Arrive Delhi Airport / Railway Station and check-in at hotel. On your Golden Triangle Tour, Fresh Later look at the visit Red Fort, Chandni Chowk, Jama Masjid, Qutub Minar and Humayun's Tomb. Overnight at hotel. After refreshing breakfast move for Agra the city of love. 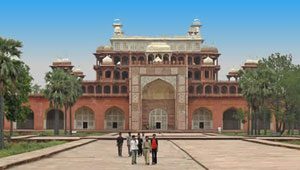 Upon arrival, enter into the hotel and relax for few minutes and Then visit the Agra fort made with red sand stone by Akbar. Later visit Taj Mahal built by Shah Jahan for his wife Mumtaz Mahal. The charm of this structure is unparallel. It is said that the death of his lovely wife forced him to make this memorial and used 20,000 men as labored for over 17 years to build this image of white marble and expensive stone. Overnight at hotel. drive to Jaipur enroute visiting Fatehpur Sikri-a perfectly preserved red sandstone “ghost town” which was the estranged capital of mughal emperor Akbar, built in 1569 and deserted when its water supply failed. Arrive Jaipur & transfer to Hotel of Golden TriangleTours. Overnight in hotel. 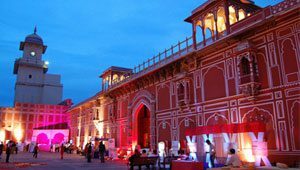 After breakfast,leave hotel to move towards Jaipur is city has ruled out by various royal Rajputs and there are several spots in Jaipur where you can find their royal residences. visit to enjoy Amber Fort with elephant ride. Later visit Royal Palace museum, Jantar Mantar and Hawa Mahal. Evening is fixed for the white Birla temple. Must visit chowki dhani to enjoy Rajasthani cuisines along with Golden Triangle Tourfolk dances, puppet shows, live music, astrology and others! Enter into the hotel and take a night sleep. Overnight at hotel. After breakfast, drive to Delhi. Arrive Delhi check in at hotel. Overnight at hotel.